FEATURE – “I’m concerned.” Those were the first two words spoken by the two teachers who teach my two boys at their first SEP’s – the equivalent of a parent/teacher conference. It was less than a month into the school year and already my children were being tagged as concerns. I won’t throw my children under the bus by publicly disclosing their teachers’ concerns – our conversations will remain private – but suffice it to say they didn’t go the way I hoped they would. To say I left the conferences with a few of my own concerns would be putting it mildly. What I really did was panic. I also did something that I am almost embarrassed to admit. I stopped, if only for a moment, looking at my children with the compassionate and caring eyes of a mother and saw them only for their flaws, the things they couldn’t do. For someone who spent the bulk of her elementary school days as a living example of Hermione Granger – Harry Potter’s overachieving friend in the popular book series – I actually caught myself wondering how I birthed two children who didn’t share my zest for school. In my mind I groped wildly at different possibilities for schooling my children considering everything from private school to charter school to a movement that is gaining a lot of momentum lately; unschooling. But when my panic subsided it turned out the cure was really quite simple – the great outdoors. 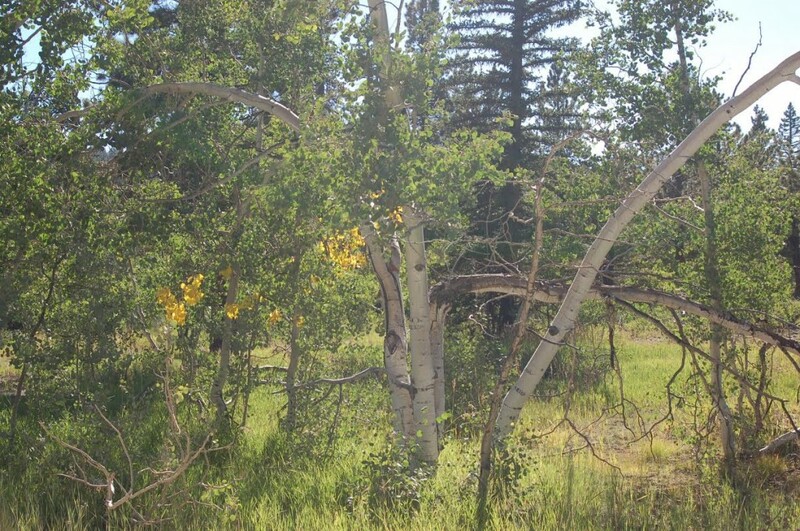 Located just 80 miles northeast of St. George, Duck Creek Campground is accessed via Highway 14 from Cedar City. The picturesque route offers panoramic views of Cedar Canyon, Zion National Park and Cedar Breaks National Monument as it climbs to an elevation of 8,600 feet on a drive that could very well have been the inspiration for Disney Pixar’s Cars. 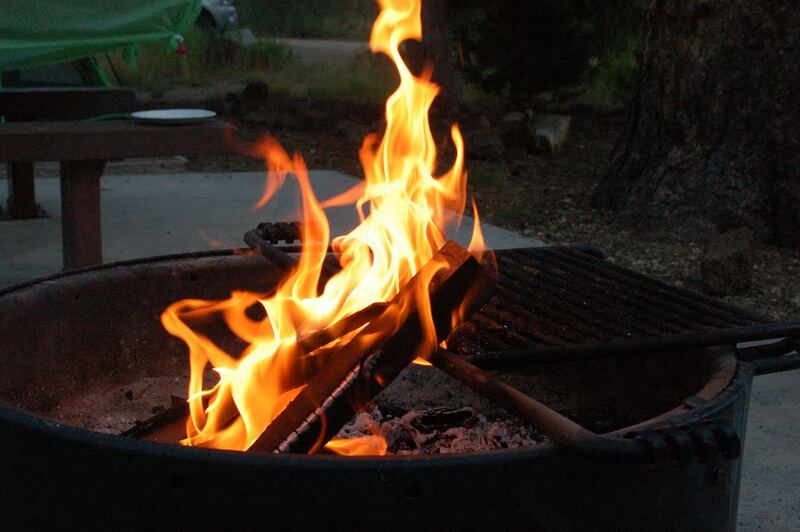 The campground has 84 single-, seven double- and three triple-campsites all equipped with picnic tables and fire rings. It also has flush and vault toilets, drinking water (Memorial-Labor Day), an all-terrain vehicle corral for ATV parking and garbage dumpsters. 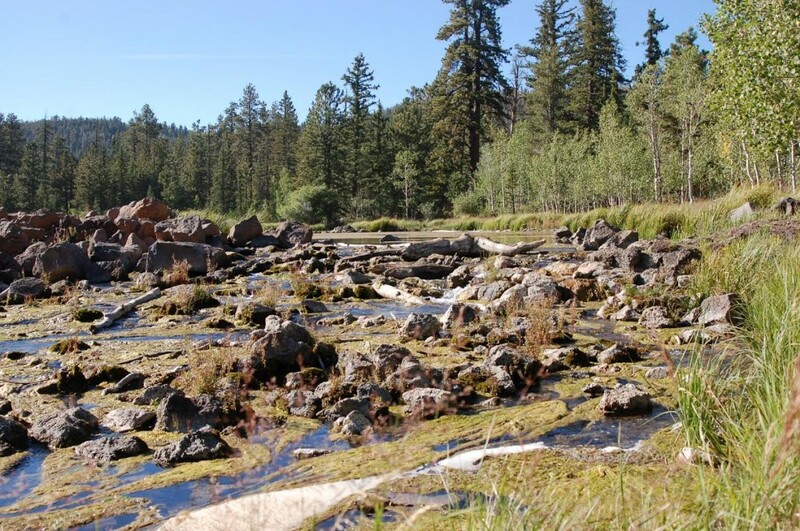 Duck Creek Campground is open from Memorial Day through late fall. Enjoying the warmth of a campfire at Duck Creek Campground near Duck Creek Village, Utah, Sept. 1, 2014 | Photo by Hollie Reina, St. George Newsalso have flush and vault toilets, drinking water (Memorial Day-Labor Day), ATV parking and garbage dumpsters. 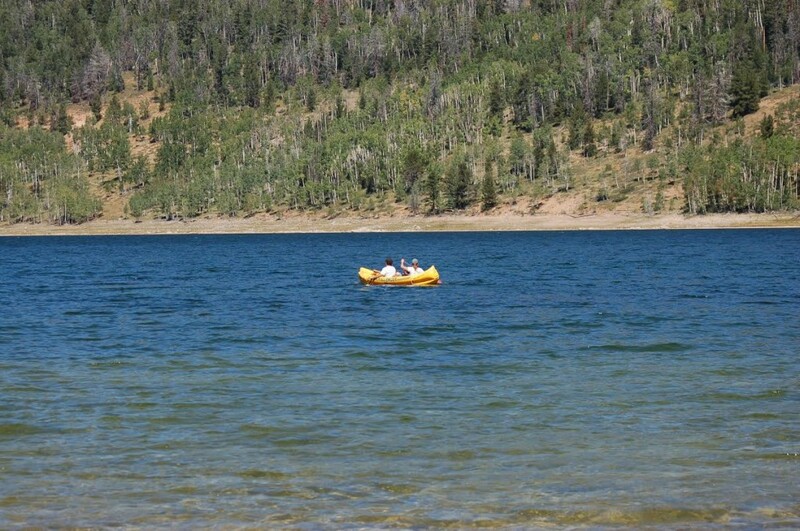 From the campground there is easy access to several recreational activities including hiking, mountain biking, fishing in Duck Creek Pond, Duck Creek or nearby Navajo Lake, and off-roading. Our family headed up to Duck Creek Campground on an impromptu camping trip over Labor Day weekend to escape the St. George heat and to reconnect with nature. It was a holiday weekend and we had no real plans except to point our truck toward the mountains where we hoped we would find a campsite and a brief respite from normal life. It was somewhere between our explorative walk to Duck Creek Pond and my awful campfire singing that I realized what was happening. It surprised me. Being avid campers – we average about one camping trip a month during the warmer season – I thought I knew what it meant to be outdoors with my family; but, after our not-so-happy school conversations our mountain meanderings took on a whole new meaning. 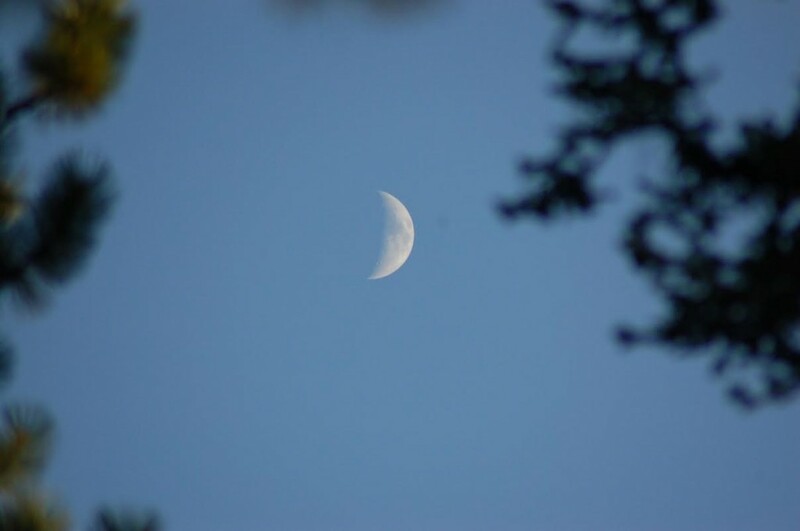 Out there beneath a canopy of ponderosa pines and quaking aspens my children were not struggling students, they were explorers and scientists, castle guards and scary monsters. They weren’t fighting against rigorous homework, they were asking questions about rocks and trees and animals … really wanting to learn. At night, their eyes gazed heavenward and the constellations, so visible without air pollution and light interference, opened up conversation to the universe and beyond. Did the weekend end? Yes. Did my children miraculously return to school with their problems solved? Of course not. But that isn’t really the point. As the camping trip came to a close and we put the mountains in our rear view, I thought about nature and the power it has on myself and my children and I knew we were going to be OK; I could see it in their dirt covered faces. I’m with you. Camping is my therapy. Most kids (and adults) that are diagnosed with ADD really suffer from NDD (Nature Deficit Disorder). Many parents have found that electronic devices are cheap babysitters and free them up to spend their time how they want, rather than parenting and being involved with their children. Many of the problems we face as a nation would have been avoided with better parenting. One of my biggest concerns is what happens when these kids grow up to be parents themselves. It’s a compounding problem. Nice article Hollie. 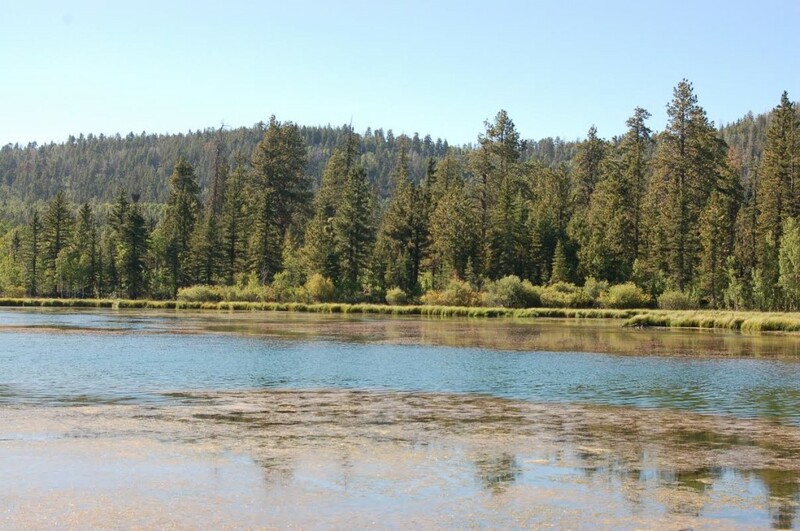 Duck Creek is a great place to spend time with family and friends. Camping is so cool especaily if you camp in an isolated area that makes you feel so good away from all the world so peace i just love it. Camping really is fun, it is a really great way to get out of your regular way of life do something really out of the blue, really relaxes the mind a lot, I love doing camping while I’m on work like freelancing.